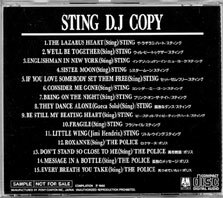 It seems that, for the 4th first Sting new album release, and now for the last one Sacred love, Japan has issued a special compilation record with some tracks of The Police and other tracks by Sting. 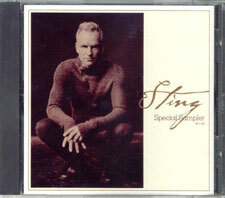 It's a kind of "Radio show" with a compilation of the most interesting Sting' material of the moment. 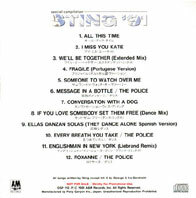 There exist one compilation 12" (made in 1986) and 4 compilation CDs (made in 1988, 1991, 1993 and 2003), and each one comes with special sleeve. 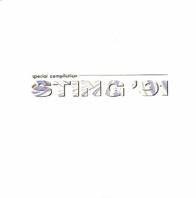 All are very rare, issued in very few copies and are the rarest Sting records that exist. Each one are promotional copies and are valued around $350/450 . 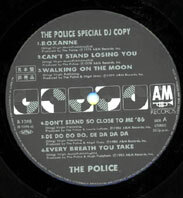 This promotional 12" as a side by Sting, one by the Police. 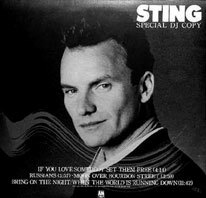 Sting side : If you love / Russians / Moon over bourbon / Brong on the night . 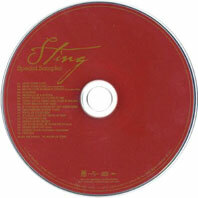 This CD comes in a CD case with a live picture of Sting on the cover. 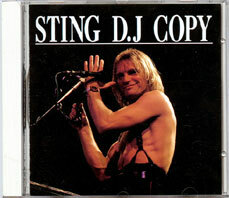 The CD is silver with black writing and it's written "SAMPLE - not for sale". 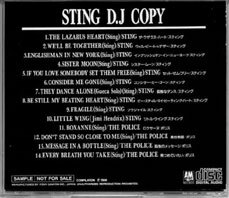 There is a mistake on the back sleeve track listing, as it states "Bring on the night" as 7th track, but it is not on the disc. So on, some issues come with a sticker on back paper inlay to correct the track list. 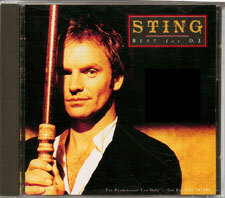 This CD is probably the rarest Sting item as it sells between $550 & $900. 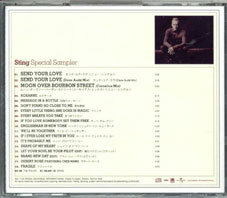 This CD comes in white card wallet sleeve with "Special compilation" in black and "Sting'91" in blue and white. 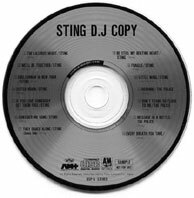 The disc is silver with black writting and it's written "Not for sale - Strictly for promotional use-Sample". 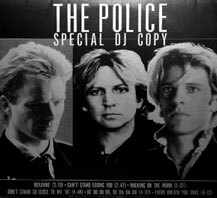 The main interest is the track listing as it contains a lot of b-sides and remixes, but the sleeve is not as beautifull as the other Japan promo CD. 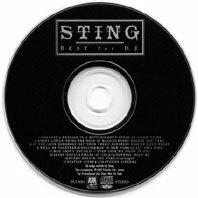 This CD comes in a CD case with a very nice PS: it's the same picture as the "Fields of gold" single, with a focal point on Sting face, with title on the right side. 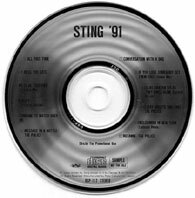 The back of the CD is the same as the "Fields of gold" singles, the picture of the yellow wall with only the shadow of Sting. 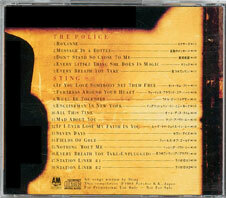 Inside the booklet there's a little discography of Sting and The Police. The disc is very nice too, black with silver writing. It's written: "For promotional use only-not for sale". This CD compilation from Japan comes in a CD case with a special PS. It's written: "Not for sale".